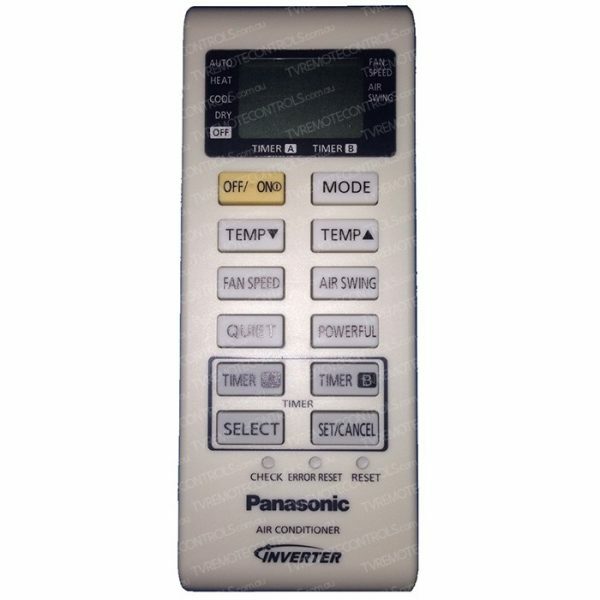 This remote control is bought directly from PANASONIC and is a substitute for CWA75C3755, A75C3755 which is no longer available from PANASONIC. The original PANASONIC remote control CWA75C3077 has all the same buttons and functions of the original PANASONIC remote control CWA75C3755, just a different button layout. This Genuine PANASONIC Remote Control Type:? A75C3755, also known as CWA75C3755. Suitable for PANASONIC Models:?CSRE9MKR, CSRE9NKR, CSRE12MKR, CSRE12NKR, CURE9MKR, CURE9NKR, CURE12MKR, CURE12NKR, CS-RE9MKR, CS-RE9NKR, CS-RE12MKR, CS-RE12NKR, CU-RE9MKR, CU-RE9NKR, CU-RE12MKR, CU-RE12NKR. Control now substituted to CWA75C3077.